Everyone knows that ‘Aloha’ is essential vocabulary for a trip to Hawaii, but there are plenty of other words you’re going to need if you want to blend in with the locals. We’ve rounded up the essential words and phrases for navigating the islands and making friends along the way. Aloha is more than just a greeting, although it is often used to say hello and goodbye. It can also express love and regards, as well as meaning the ‘aloha spirit’ by which Hawaiian islanders live. Encompassing feelings of love, affection, kindness and goodness, aloha is the philosophy by which many islanders live their lives. There’s a reason everyone is so friendly and you don’t see angry driving in Hawaii – and that reason is aloha. Aloha has a broad meaning and is often combined with other words to make phrases which mean the love of different things. Aloha ‘aina means the love and care of the land, and is deeply rooted in Hawaiian culture where being a caretaker of the land is very important. The phrase is often used as a motto for things such as recycling and conservation programmes. 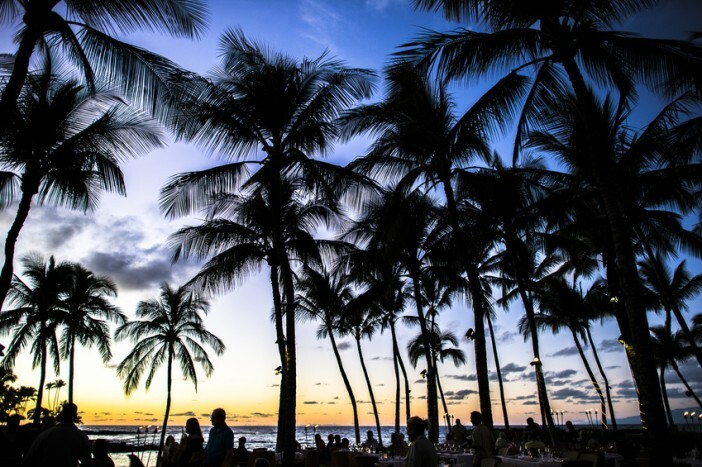 Mahalo is a phrase you’re likely to hear a lot, and should use too, during your stay. It means “thank you!” Say it to waiting staff and people who help you out, to get one of those warm Hawaiian smiles. If you embark on a holiday romance, you’ll be needing this one! Aloha wau la ‘oe means “I love you”, say it to everyone who holds a special place in your heart. Shaka is a hand symbol that is commonly used across the islands and in surf culture to mean “how are you?” or “how’s it going?”. Master the gesture by folding down your index, middle and ring fingers, pointing your thumb and little finger out to the side, and twisting your hand side to side slightly. It is often used when driving, so if someone gives way to you go ahead and give them a shaka in return. Useful when you are giving or receiving directions, mauka means towards the mountains and makai means towards the ocean. They are often used in Hawaii to give directions and make sure you’re going the right way in general. Pono is another word that can have a variety of meanings, but it roughly translates as ‘righteousness’. 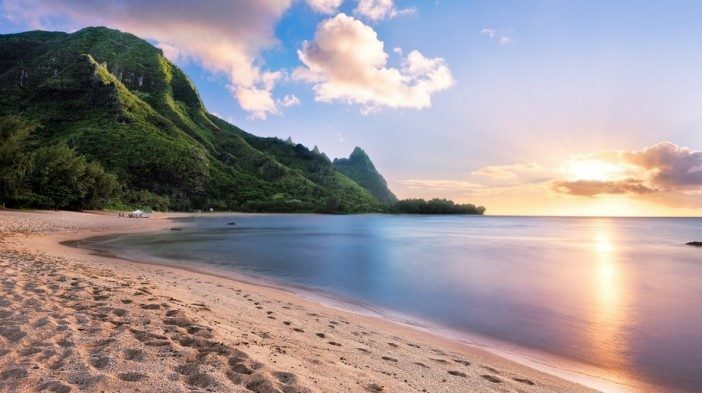 In Hawaii, the idea that having a moral character leads to happiness is woven into everyday life, with people placing a lot of importance on doing what is selfless and morally right. It’s so important that it’s even in the state’s motto: ‘Ua mau ke o ka aina i ka pono’ or ‘The life of the land is perpetuated in righteousness’. Vog is the word for the smog that periodically descends over the islands from the volcano on Big Island. Some people get allergy symptoms from the vog, so keep the antihistamines close by and enjoy the very Hawaiian experience if it happens during your visit. Haole traditionally means ‘foreigner’, although it is mainly used to refer to Caucasian people now. It can sometimes be used in a derogatory way, but not always. Try to be sensitive to cultural customs to avoid this label. “Howzit?” is a common, informal greeting that basically means “how are you?” or “how is it going?” It is quite often said in conjunction with ‘braddah’, as in “howzit, braddah?”, which means brother or friend. 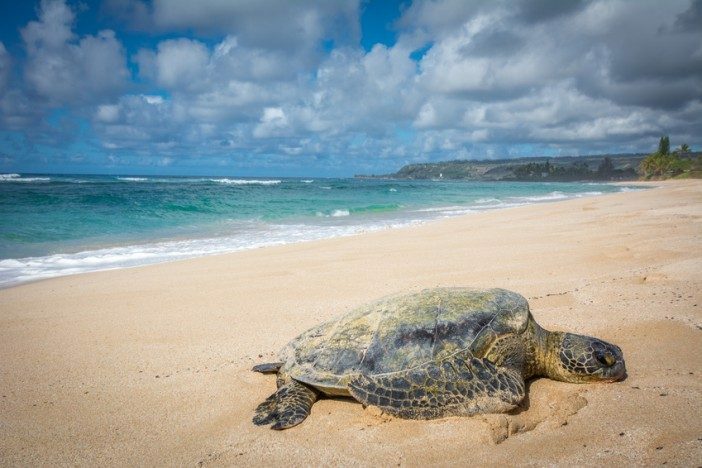 Honu means green sea turtle, which can sometimes be seen in the sea around Hawaii, although they are getting rarer. Learn the native word so if anyone spots one you’ll be the first to know. ‘Ohana, or ‘family’, is really important in Hawaiian culture and spending time with your loved ones is seen as a priority. The Hawaiian word for family is also used to express love and commitment beyond blood relations, and is sometimes used to refer to communities, workplaces and other groups. If someone tells you that a place has ‘ono grinds go there, because it means delicious food. It can also be used as a compliment if someone serves you a particularly tasty morsel. “Da kine” is a commonly used phrase that is the same as the English habit of saying “whatchamacallit” when you can’t think of the word you need. Use it liberally to sound like a true native. Pau means done or finished, but you’re most likely to see it on signs saying ‘pau hana’ or ‘after work’, as that is Hawaiian for happy hour. As you can see, an essential phrase. 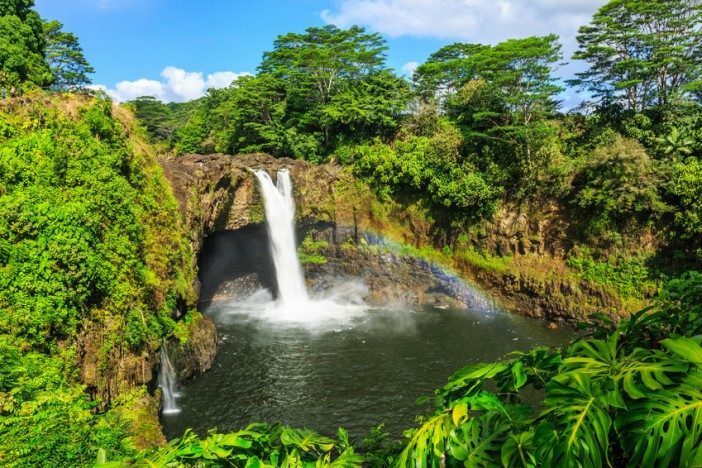 If you want to use your newly learnt phrases on a beautiful holiday to Hawaii, why not book one of Cruise1st UK’s amazing cruises that stops at the islands? Browse the full collection online, or call our sales team on 0808 274 6777. Everyone knows "Aloha" but what other phrases should you get up to speed with before your cruise holiday to Hawaii? Take a look to find out.